We get it. Hair doesn’t grow instantly. Lot’s of things don’t happen quickly. 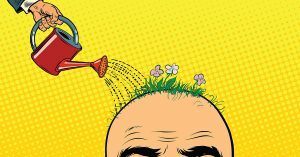 There’s a reason why people say, “A watched pot never boils,” and something is “more boring than watching grass grow.” If you’re looking for a permanent solution to your hair loss, you want things to change sooner rather than later. In short, you want to know when, if ever, your hair will grow back. At RHRLI, we have that permanent solution you’re looking for, it does work and you will notice results sooner rather than later. Our solution is called the ARTAS® System and it is a Follicular Unit Extraction (FUE) procedure that uses robotic technology to give you a healthy new head of hair. RHRLI is the only hair restoration center on Long Island that offers ARTAS®. And our patients can see the difference between this revolutionary procedure. It’s minimally invasive and the precision of our robotic arm gives your hair a more natural look than any other hair transplant procedure on the market. ARTAS® is a life changing procedure and when patients come to RHRLI, our board-certified surgeon Dr. Baiju Gohil, will consult with you and take you through every step of the procedure. We want you to have as much information as possible, so we want to tell you about ARTAS® and when you can expect a new head of hair. As we mentioned, the first step for ARTAS® patients is the consultation. We’ll give you a medical evaluation to determine if you’re a candidate for the procedure. It’s rare that patients aren’t considered ARTAS® candidates. In some case, patients may be asked to undergo further tests. Candidates who are approved for ARTAS® are advised to cut their hair before the procedure. According to the company’s website, trimming hair allows the ARTAS® robotic arm to accurately visualize, track and harvest each grouping of hairs. During the procedure, Dr. Gohil will use the ARTAS® robotic arm to look for healthy donor hair, usually on the back or side of your hair. Then it will be selectively harvested with robotic precision. Unlike procedures that use a scalpel and sutures like Follicular Unit Transplantation (FUT), you won’t have a scar. Unlike FUE procedures which use a handheld device, you won’t have human error involved, so each transfer of donor hair will be accurate. When the procedure is over, your recovery time will be brief and your transplanted hair will grow back in phases according to the ARTAS® website. New hair will start to grow about three months after the transplant and the thickness of your hair will increase over a full year, you’ll start to see a noticeable improvement in about six months and your new head of hair will be permanent. RHRLI can give you a new head of hair without the stress and strain of other painful procedures. You’ll begin to see results quickly and the new look you’ve always wanted will last a lifetime. All you have to do is take the first step. Contact RHRLI today. Previous Post: « How is Scalp Micropigmentation Done?